35 Av. Norte No. 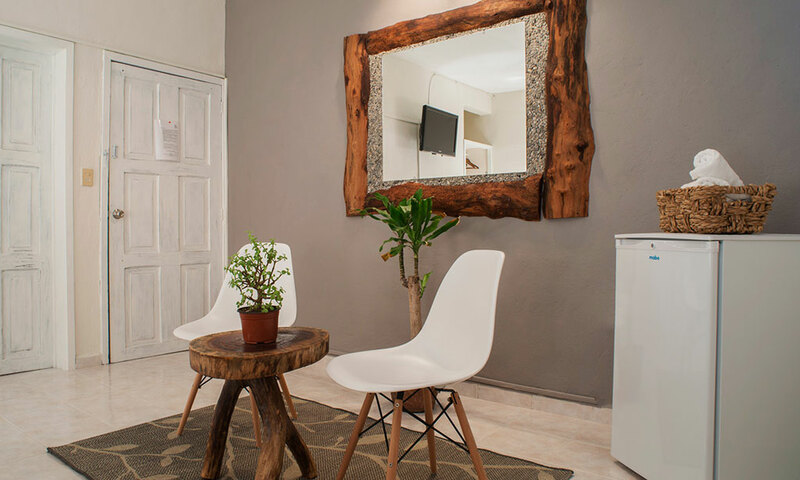 152 entre calle 4 y 6 norte, Centro, Playa del Carmen, Q.Roo.. 77710. 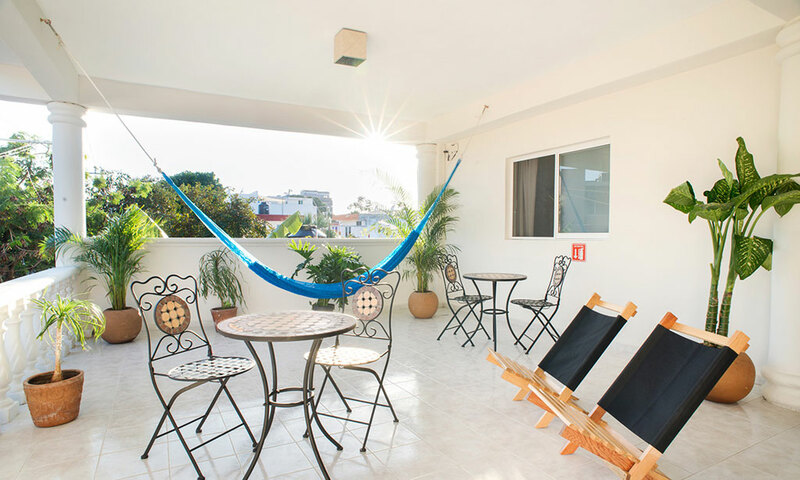 A small independent Hotel in the heart of Playa del Carmen, with a comfortable reception, where coffee is served, furnished terrace, free public parking and free Wi-Fi throughout the hotel. 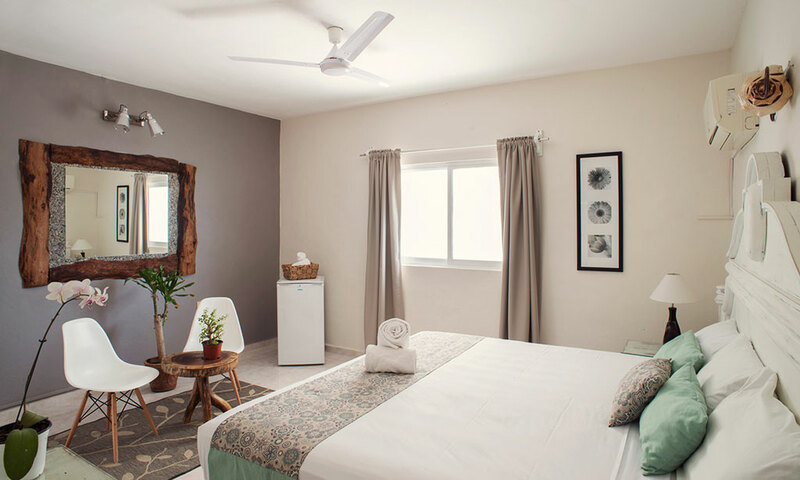 We have several types of rooms for all needs and each one has a special touch. 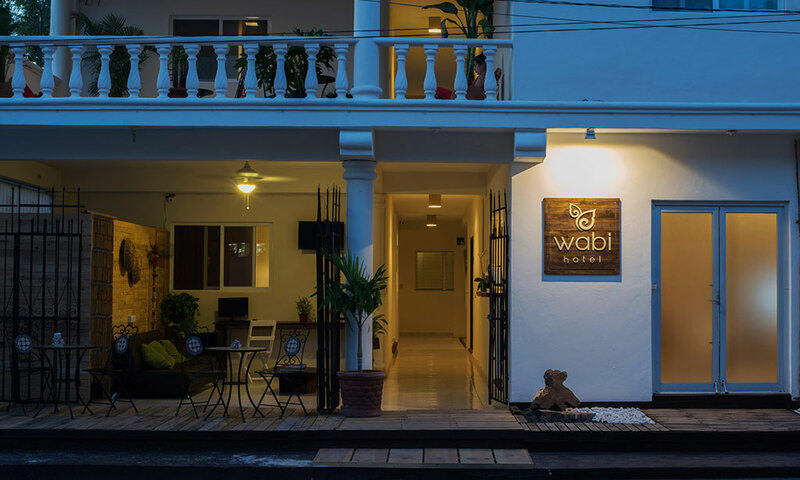 In Wabi Hotel we practice the philosophy of natural simplicity and creative spaces that reflect the warmth that inspires us to serve you. We pay special attention to detail and provide exceptional service. 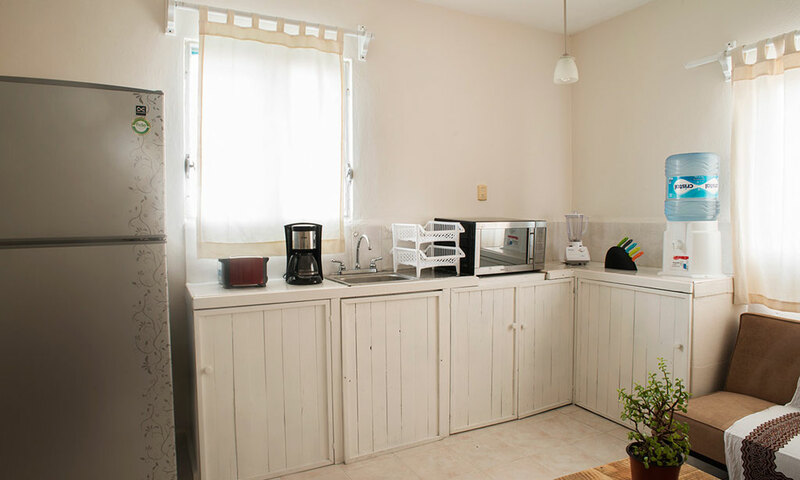 The changes are continuous, so that our guests will find something different every time they decide to come back. 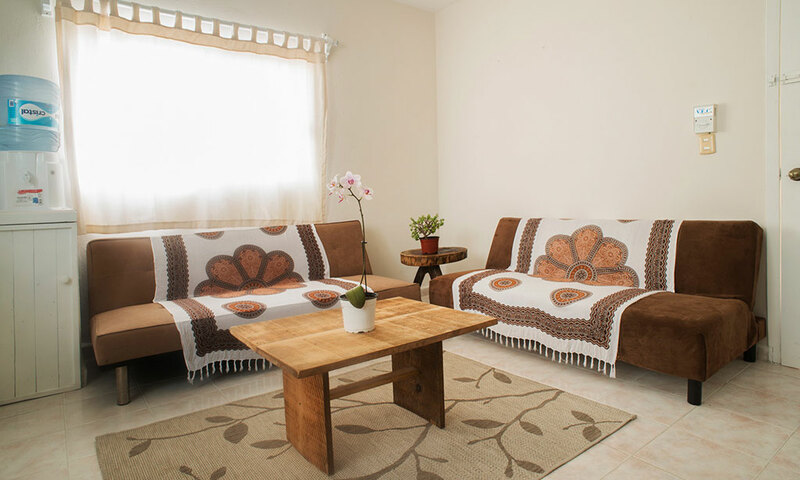 The single room has one double bed and a sofa bed. 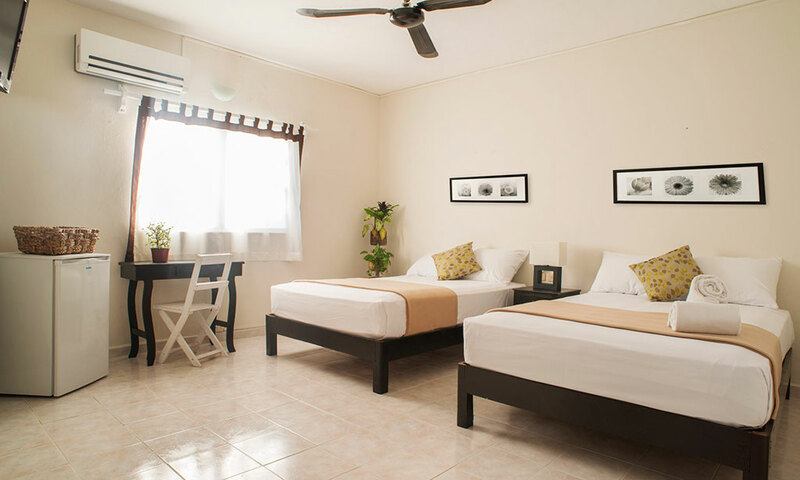 All our rooms are equipped with air conditioning, ceiling fan, flat-screen cable TV, minibar, work desk and free Wi-Fi. The Double Standard room has 2 double beds. 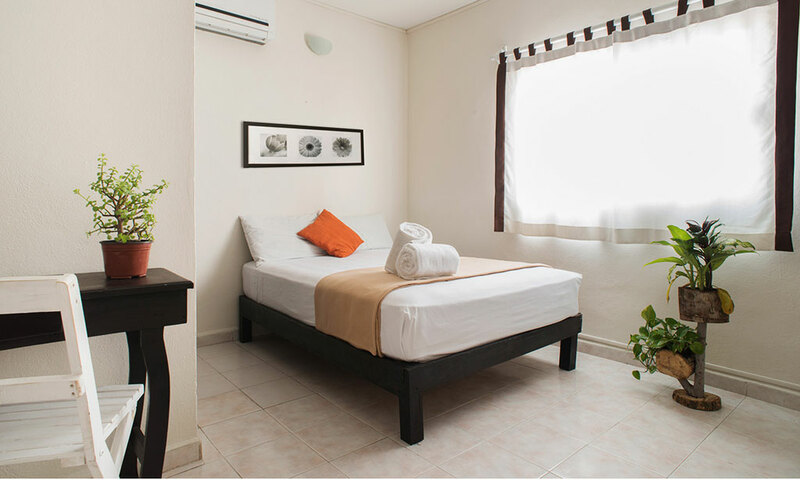 All our rooms are equipped with air conditioning, ceiling fan, flat-screen cable TV, minibar, work desk and free Wi-Fi. 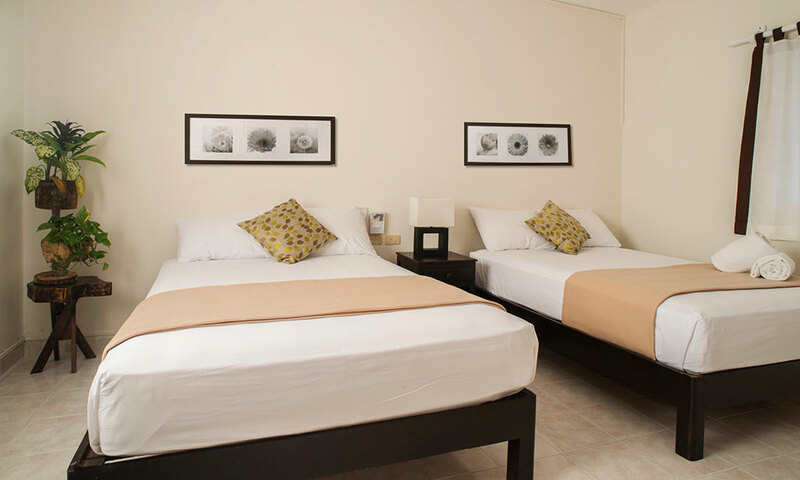 The Triple Room has a three twin beds. 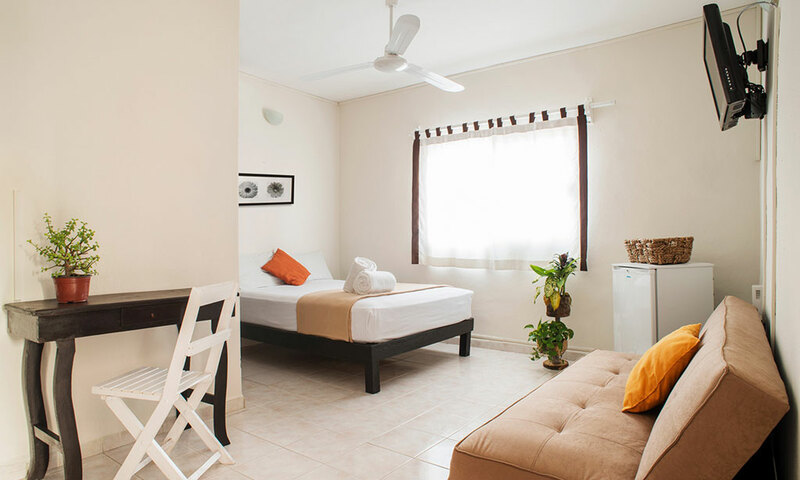 All our rooms are equipped with air conditioning, ceiling fan, flat-screen cable TV, minibar, work desk and free Wi-Fi. The Double King room has a King Size bed. 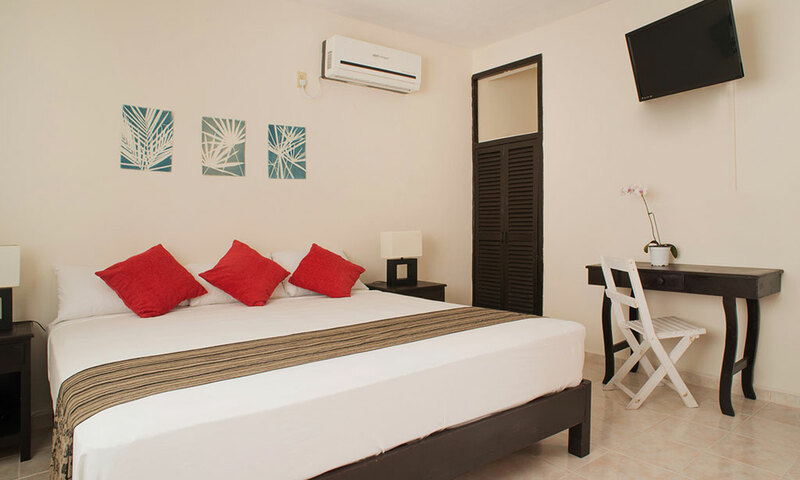 All our rooms are equipped with air conditioning, ceiling fan, flat-screen cable TV, minibar, work desk and free Wi-Fi. 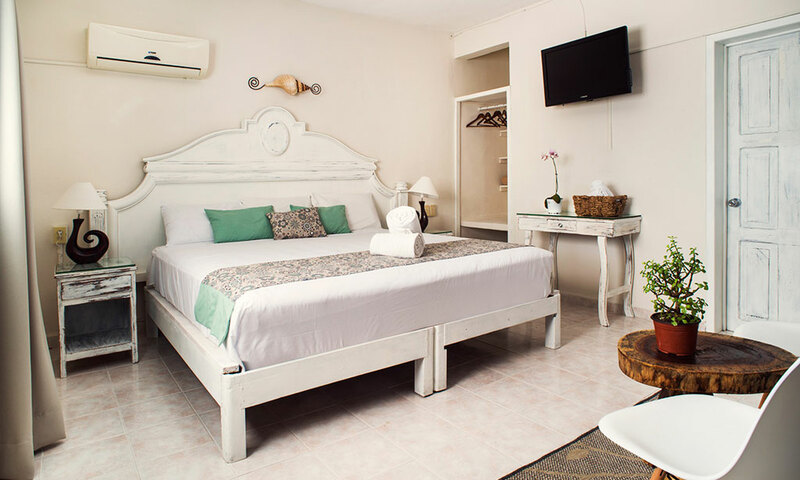 The Double Superior room has a King-size bed and a sitting area. 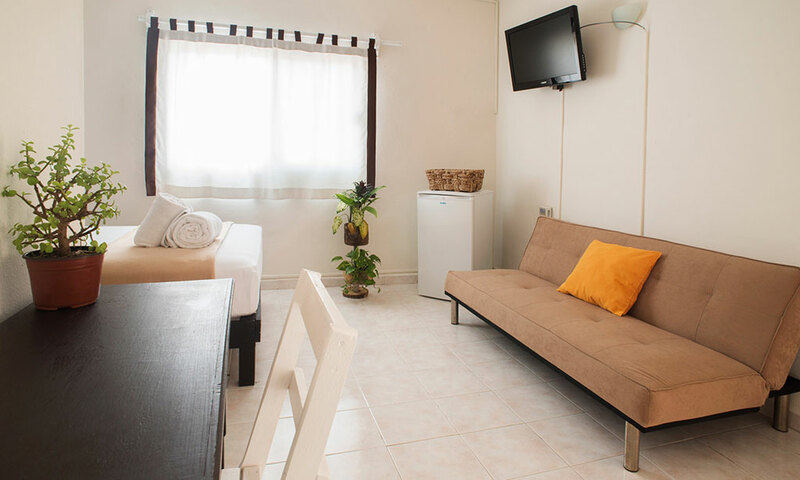 All our rooms are equipped with air conditioning, ceiling fan, flat-screen cable TV, minibar, work desk and free Wi-Fi. 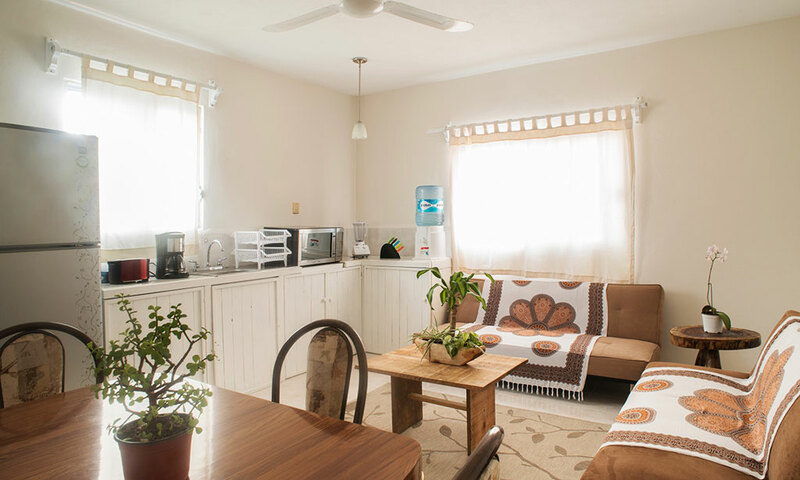 This confortable Suite features two double beds, a living room with a futton and flat-screen cable TV, and an equiped kitchenette. 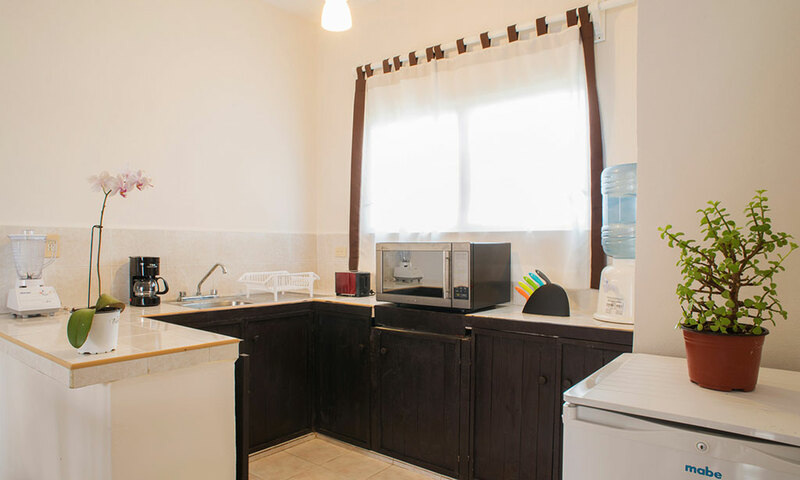 It also has air conditioning, ceiling fan, minibar and free Wi-Fi. 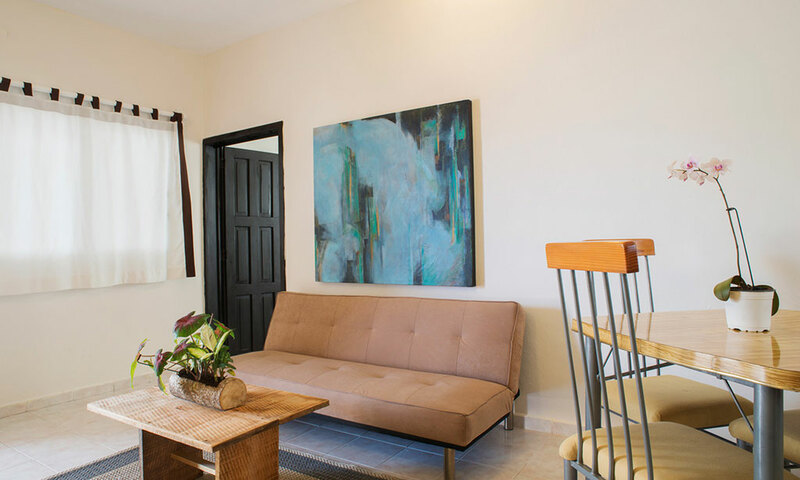 This Suite features two double beds and one twin bed, a living room with two futtons and an equiped kitchenette. 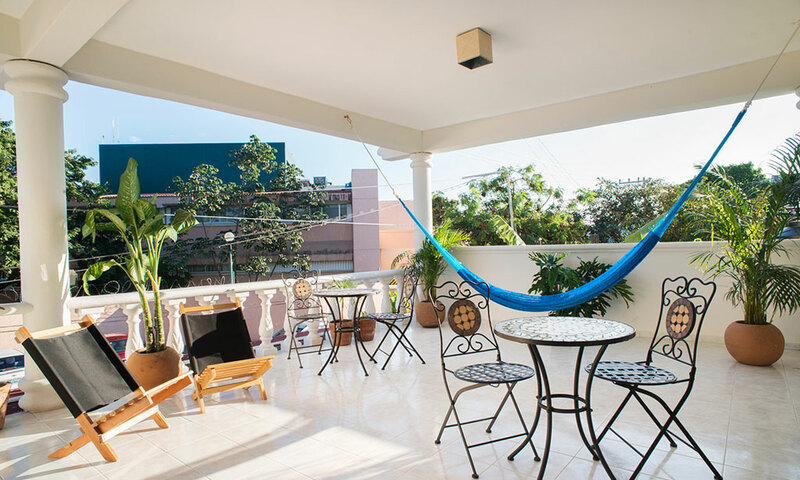 It also has air conditioning, ceiling fan, minibar, flat-screen cable TV and free Wi-Fi. Live in Playa del Carmen! 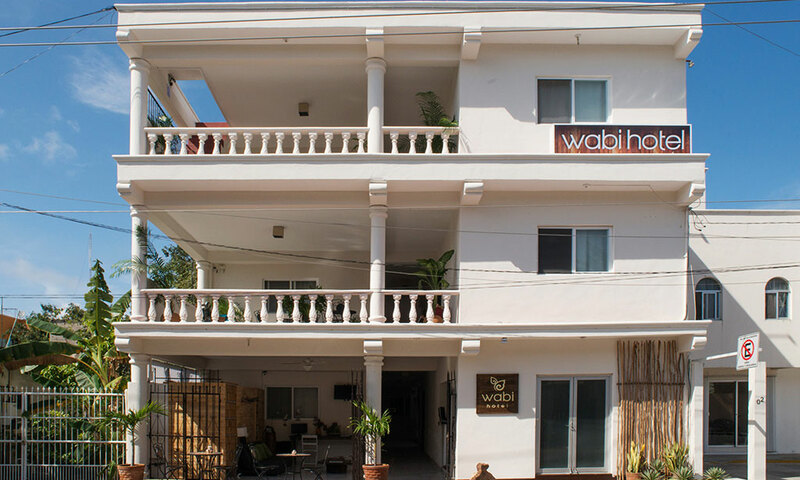 The Wabi Hotel is located in Playa del Carmen downtown, just 0.3 miles away from the famous restaurants and shops of the Fifth Avenue, and a 15-minute walk from the beautiful beaches of the Caribbean. 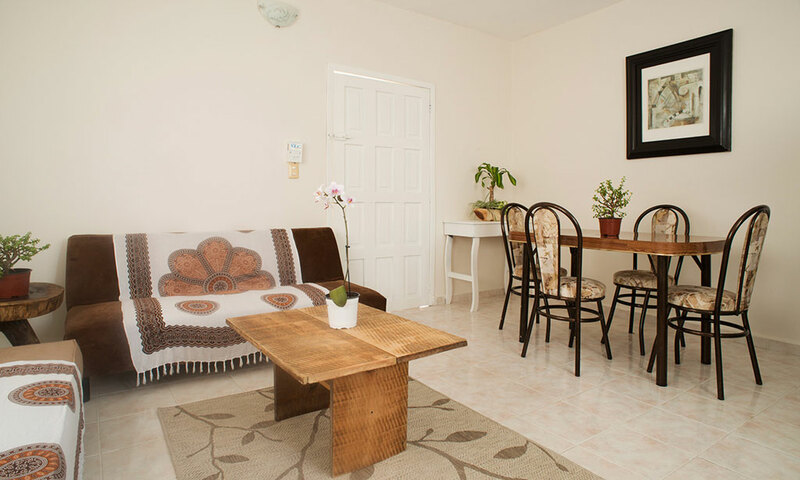 Our guests can find a great variety of supermarkets and shops, just 0.1 miles away. 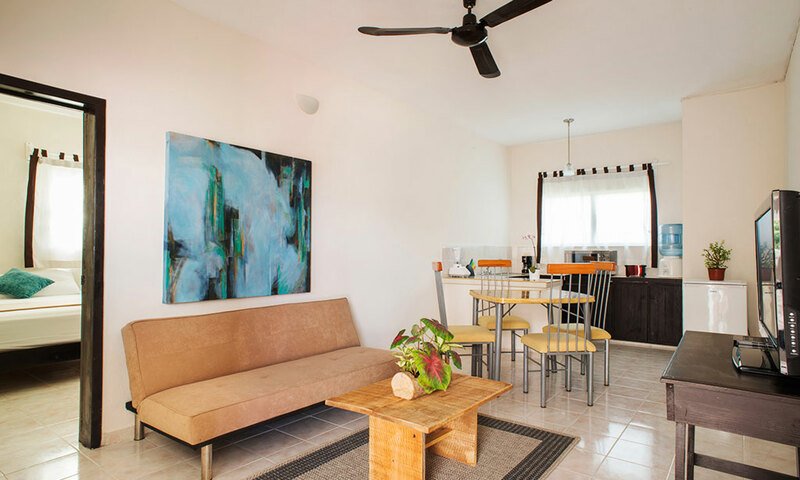 Just 5 blocks from the bus station ADO and 6 blocks from the pier and ferry to Cozumel. 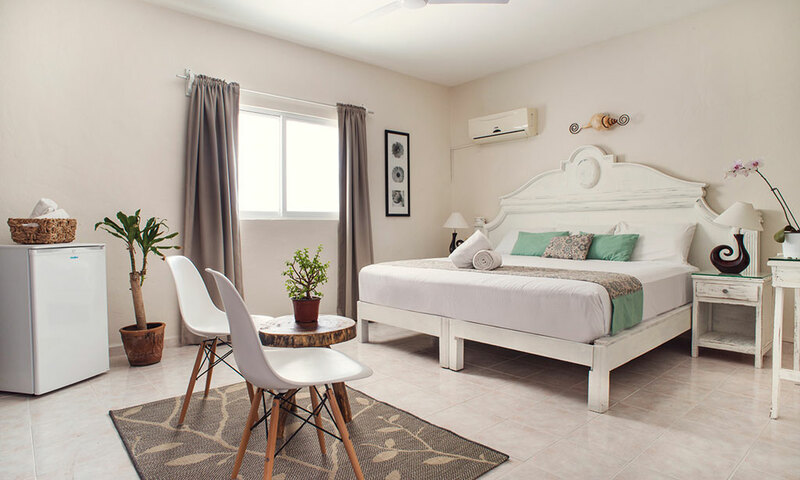 Booking Policy RESERVATIONS We require a credit card to guarantee the reservation or payment/deposit of the first night You will be chargeed for the full stay upon arrival. CANCELLATION: If the reservation is cancelled or modified up to 15 days before date of arrival, no fees will be charged. If it is cancelled or modify later or in case of no show, 100% of first night will be charged. 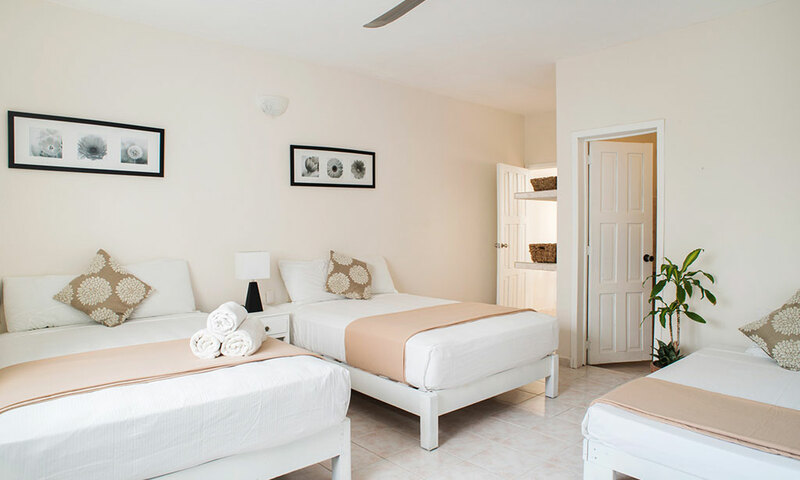 Rates in USD per room, per night Children free up to 12 years old sharing with parents CHECK IN – Hrs. 15:00 | CHECK OUT – 12:00 Hrs. Cosmopolitan destination on the Riviera Maya with great white beaches and crystal clear waters of the Mexican Caribbean. Bohemian atmosphere and a sensational nightlife. Starting point for tours, eco-archaeological parks, and a host of land and water activities such as swimming with dolphins.